It's "garden bloggers tell their story" week at Gardening Tips 'n' Ideas, and and today is my story. You can check it out at this link. 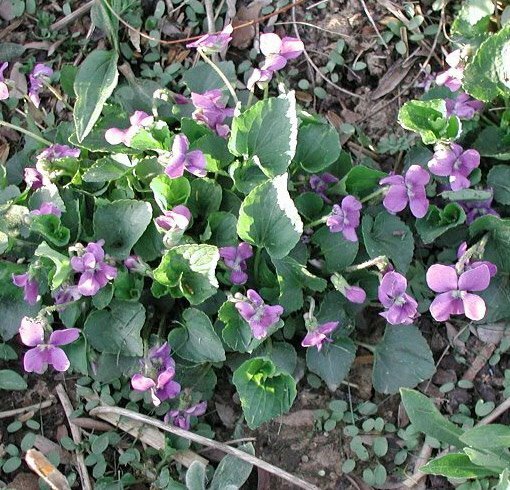 Gardening Tips 'n' Ideas is the blog of Stuart who lives in Western Australia. He came up with the idea of inviting other garden bloggers to tell their story on his blog so that while he is on vacation, something new shows up there everyday. Why do I think of the story of Tom Sawyer and whitewashing fences? I guess it doesn't really apply because Stuart had to do a lot of work to set this all up before he left on vacation, so that a new post automatically shows up each day. By the way, it is spring in Australia, so they are just starting up their gardens, as we wind down with ours. 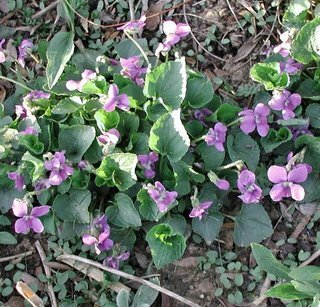 In honor of spring "down under", I've included a picture of some woodland violets blooming very early this past spring in my garden.